The fourth day of May in each and every year is established, in this state, as a day for celebration of Rhode Island independence, being a just tribute to the memory of the members of our general assembly, who, on the fourth day of May, 1776, in the State House at Providence, passed an act renouncing allegiance of the colony to the British crown and by the provisions of that act declared Rhode Island sovereign and independent, the first official act of its kind by any of the thirteen (13) American colonies. From Title 25 of the RI Statute. Always the smallest state in the U.S., Rhode Island has historically been one of the most protective of its freedom. The state was founded in 1636 by Roger Williams, a Baptist preacher who had fled from religious persecution in the Massachusetts Bay Colony. The state also produced the first overt act against the British crown, the burning of the oppressive tax schooner HMS Gaspee in 1772. So, it went without saying that Rhode Island would join the other 12 original colonies in North America that rebelled against British rule in 1775. Forever rebellious, Rhode Island became the FIRST colony to officially declare independence from the British Crown on May 4th 1776. On this date, the general assembly in Rhode Island passed an act, which declared Rhode Island and Providence Plantations an independent state. This was two months before the fledgling Union of states issued the now famous “Declaration of Independence”. RI leaders, fearful that the tiny state would not receive equal representation and an equal voice in the U.S. congress initially balked at joining the other states. Those fears were eventually allayed with the creation of two branches of legislature including the Senate, which gave equal representation to all of the states regardless of size or population. 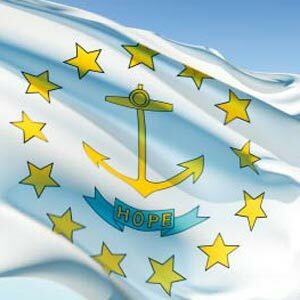 This led to Rhody becoming the last of the original colonies to join the Union in May of 1790. 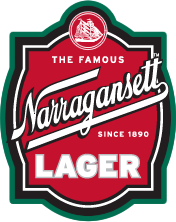 Have a ‘Gansett today to celebrate your independence here in Rhode Island and remember what it stands for! Gansett’s Vintage TV Spot: You Can’t Fool This Girl!